This is the entry point for 9th graders up through Seniors who wish to play lacrosse at the high school level. The governing body transfers at this age level from Greater Eastside Lacrosse to the Washington High School Boy’s Lacrosse Association (WHSBLA). 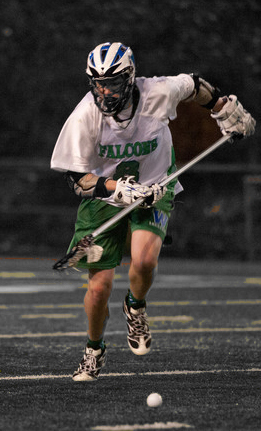 The Woodinville High School Lacrosse Team assignments and division alignments are set by the WHSBLA. The teams practice 5 times a week and plays 1 or 2 games during the week in place of practices. This team is developing the highest level of competition amongst players competing against each other for their opportunity to be on the varsity team. A sense of commitment and dedication to lacrosse is higher for those who play high school lacrosse. See Equipment & Clothing Requirements for Junior Varsity team expectations. The teams practice 5 times a week and plays 10+ regular season games during the week. Competition is at the highest level for this team as it is competing in the KINGCO 4A Division of the WHSBLA. The Varsity Coach selects the varsity squad. A sense of commitment and dedication to lacrosse is now at the highest level for those who make this team. See Equipment & Clothing Requirements for expectations for the Varsity program.